In this research, Panutat Yodkaew aims to study what the term “socially engaged Buddhism” as part of the wider spectrum of the so called “Buddhist Modernism” actually means. He explore hundreds of pieces of writing over the past 50 years to see how Buddhist monks reacted to the intellectual force of globalization, how they interpreted the Tripitaka and applied ancient Buddhist thoughts therein to find solutions for social malaise and political crisis confronting Thailand. Due partly to the fact that Thailand has never been colonized by the West, several Thai Buddhist monks are keen to welcome various strands of Western thoughts while at the same time constructing their own versions of intellectual discourses and rhetoric, particularly in relation to what they deem as weak points found in those various modern thoughts and concepts penetrating Thai society. Socially engaged Buddhism is not a common or easy-to-explain phenomenon for Western academia but this kind of Buddhism was formed when well educated Buddhist monks conversed, confronted and even reacted to the intellectual legacy of the Age of Western Enlightenment that figured predominantly during the rise of Pax Americana following the end of the World War II. In this context, Thailand’s leading Buddhist monks are perceived as negotiating the tension between adopting aspects of western modernity and critiquing them while maintaining what is viewed as the core Buddhist teachings. The discourses of their encounter with the West are still evolving and shaping our understanding of what Buddhism is about. In his research findings, Yodkaew shows that the perceived competition between Buddhism and Christianity and other modern concepts over the past sixty years gave rise to Thailand’s socially engaged Buddhism. A blessing is one of contents in Thai literature which appears in some parts of a story such as invocation and intension of poet. It can be generally seen that the poet or the story are often blessed. A blessing in Thai literature often appears in panegyric literature which is a literary convention that is interesting as well as has been continued from Ayutthaya period to contemporary time. Contents of blessings in panegyric literature are composed of the holy thing, the king and the country with individuals. There are two attributes of blessings: the first is to describe the blessing in details, and the second is to include the holy thing and benediction in the blessing. Blessings in panegyric literature gradually change. That is to say, blessings in panegyric literature during Ayutthaya and Rama I period were focused on the details of the holy thing and the king is blessed. On the one hand, blessings in panegyric literature during Rama II and III period were emphasized on the king more than on the holy thing which was just mentioned only a name. Lastly, blessings in panegyric literature from Rama V to contemporary time have expanded the person who was blessed from the king to the royal family, country and individuals. This article aimed to examine Isan farmers’ wisdom and belief in constructing rice barns. This was done by investigating related literatures and field surveying through in-depth interview. Semi-structured interview was also selected to collect the data. To analyze the data, all the acquired information was categorized, interpreted to view relation of the farmers’ wisdom and belief, and concluded to reveal toward descriptive results. The findings found that a rice barn was so important to Isan farmers that they must pursue the following traditional sanctity: 1) only good quality of materials were selected to construct the rice barn, 2) shapes, structures, positioning, and direction of the rice barn must be according to their inherited sanctity, and 3) used materials of rice barn construction must not be utilized in housing construction. Unfortunately, the farmers’ ways of life today was altered according to globalization. New values had affected the old traditional wisdom and belief that a rice barn was overshadowed. 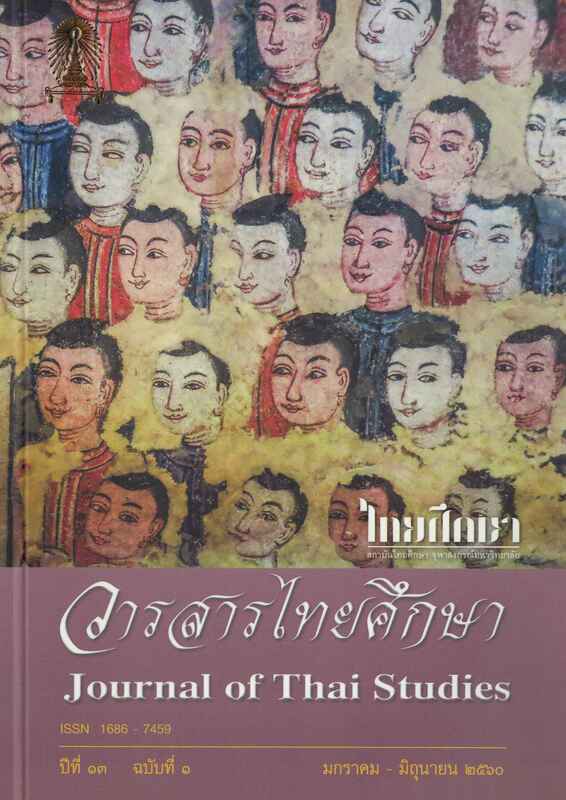 This article aims at examining how Isan people are linguistically represented in national newspapers in Thai between the years 2004 to 2013 by employing the approach of Critical Discourse Analysis. The author focuses on two newspapers, namely Thairath and Dailynews. The data was collected from January 1, 2004 to December 31, 2013. Altogether 1,924 articles and news were collected. The analysis reveals that in the national newspapers several linguistic strategies are employed to represent Isan people. The six major strategies include: 1) lexical choice selection; 2) metaphors; 3) presupposition; 4) the use of passive voice structure; 5) the use of intertextuality; and 6) the use of rhetorical questions. All these linguistic strategies represent of Isan people in three different aspects: 1) Personality and traits: Isan people are proud of themselves and their region. They are patient, group-oriented and generous; 2) Economic and social aspect: Isan people are poorly educated and lack of opportunity. Isan people are labor force. They are victimized by other groups of people; 3) Political aspect: Isan people are a major political stronghold that plays an influential role in Thai politics. However, they often become political victims. The representations of Isan people are prominently related to social context. They are somewhat biased which reflects social inequality.